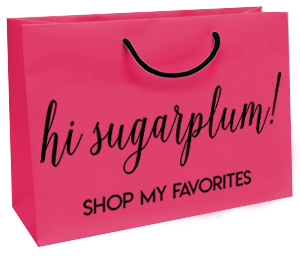 Open for the Season | hi Sugarplum! In order for Mr. Sugarplum and me to take a vacation alone, we rely on my in-laws and parents to watch the kids. And with school in session, it means they stay at our house. Have you ever had your in-laws stay at your house when you’re not there? Sleeping in your bed and using your bathroom? It makes you look at things a little more closely! So we spent the weekend hiding stuff cleaning like maniacs, and getting the backyard ready for visitors. Everything already looks better thanks to our new fence! It’s hard to believe one day we had a dilapidated fence, and a few days later a solid cedar beauty stood in it’s place! The difference it’s made in the appearance of the backyard is substantial. It’s nice to know our pool isn’t going to come spilling out into the alley, either. I think we’ll have them add a piece of trim around the top, just to give it a more finished look. We don’t have any plans to stain it anytime soon, as the cedar is a beautiful wood, and naturally repellent. While we wait for the perennials to come in, the pots are now full of extremely heat-tolerant annuals. I can’t wait for them to take root and fill out. 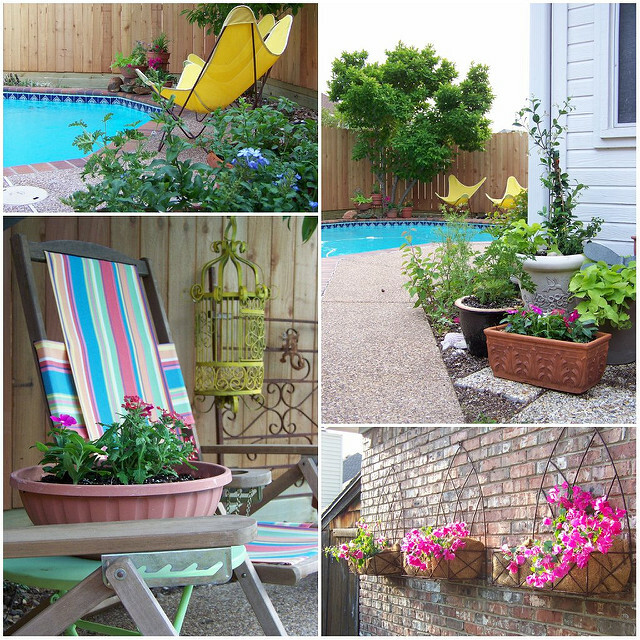 Our backyard is all pool and patio, so the pots provide nice splashes of color. Mr. Sugarplum braved the pool shed and brought out the patio furniture. 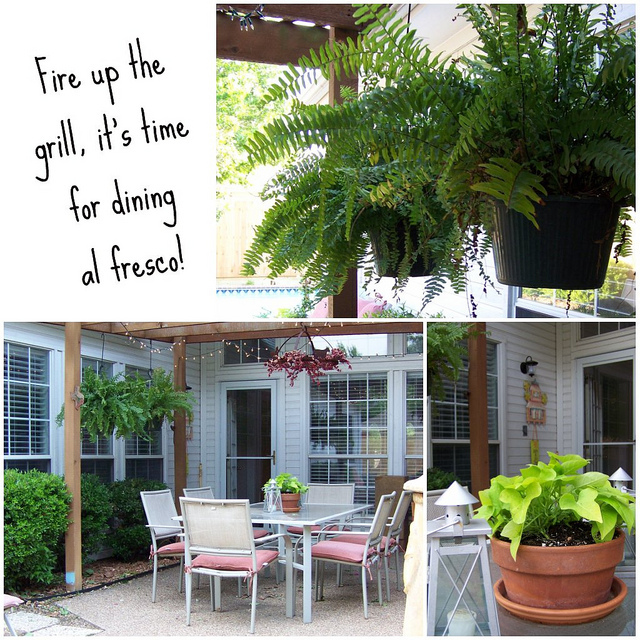 A few hanging ferns and the dining area already looks better! And, with Easter just five days away, here’s an update on the bunny family living in our flower pot. Looks fabulous Cassie! And, they did a beautiful job with the fencing. I can't wait for all of our perrenials to bloom as well. Only a matter of days/weeks now. What a beautiful fence. …. what a beautiful backyard! Perfect for Summer! 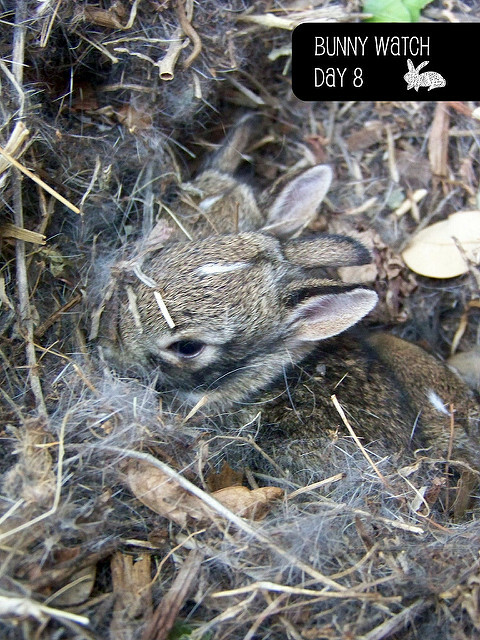 Oh and those bunnies… OMG how cute! The fence looks great -as does the patio area! Love the colour of your house – gorgeous! Backyard looks great! I agree, having house guests inpsires me to clean too!! Have a great trip! 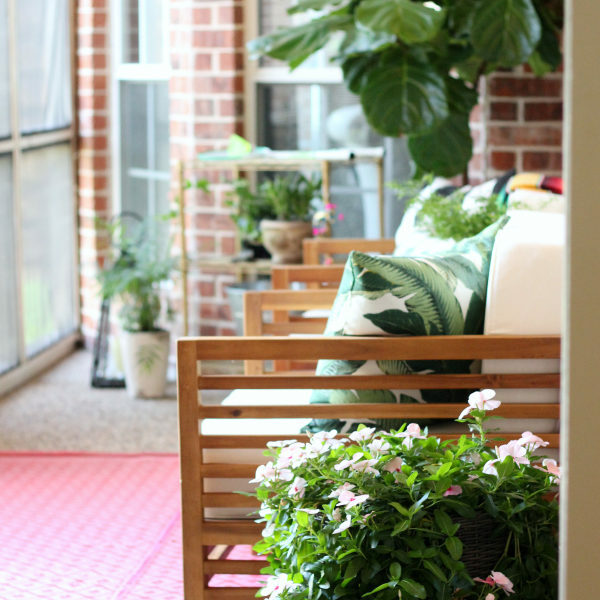 Your outdoor area is gorgeous! Haha my fence looks like your before right now, it is literally about to fall over! So jealous you have a pool, I have always wanted one. Good work girl, relax and get ready for your vacay! Looking amazing back there!!! Can't wait for my invite to the pool party. I like my margaritas on the rocks, extra salt. backyard looks great! and that bunny is soo sweet! Your backyard and pool look so inviting!! Your so lucky to have family who will stay and watch the kids while you vaca- so nice of them!! Your backyard is gorgeous and your new fence is perfect- I love cedar. And the bunnies are insta smile inducing- soooo sweet! Hope you have a lovely vacation!! There is nothing more motivating than people coming to stay. I clean everything and turn into a crazy woman! More than in-law ready! Beautiful. Like Danielle said, I turn into a crazy woman when people come to stay as well! I think the hubs and I are just one week off from you on our getaway. That double date will have to wait! Oh Cass, yes my in laws have stayed here with Lilly before (just out of ease while she was so little) when we have gone away. Luckily they were able to just use our guest room and guest bath, but it was still WEIRD. Totally get what you're saying. I've never had my in-laws stay at our place (they live 5min away) but I love the motivation to clean that having people over provides! 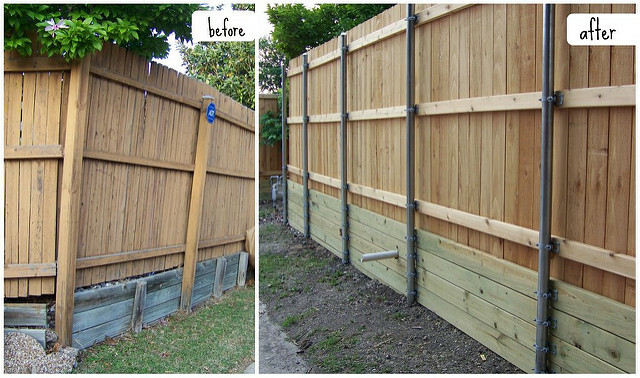 Your fence looks fantastic! I could definitely see myself hanging back there – so comfy and inviting. 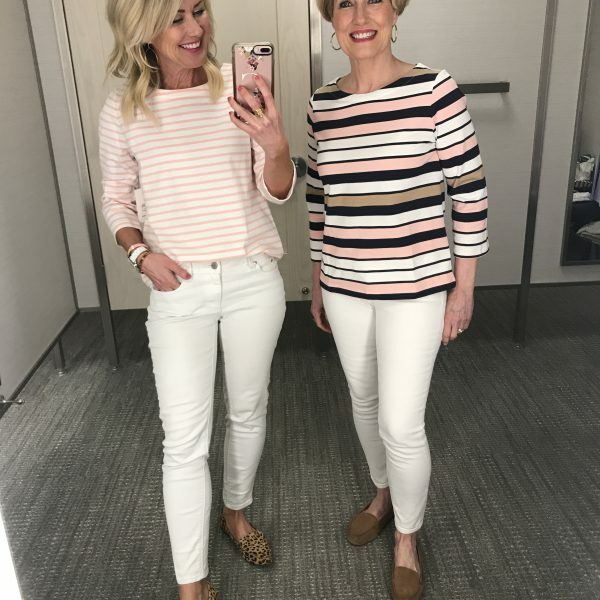 It looks great – definitely in-law ready! 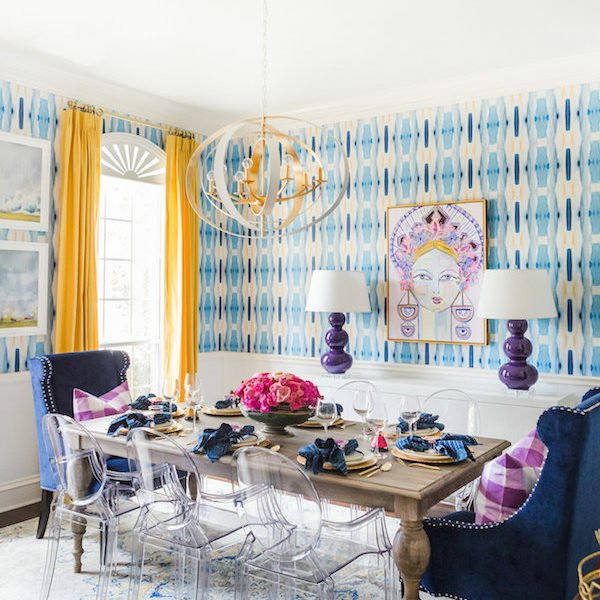 I love the mix of styles and the great pops of color…And the bunnies, too! How cute are they? I love bunnies. 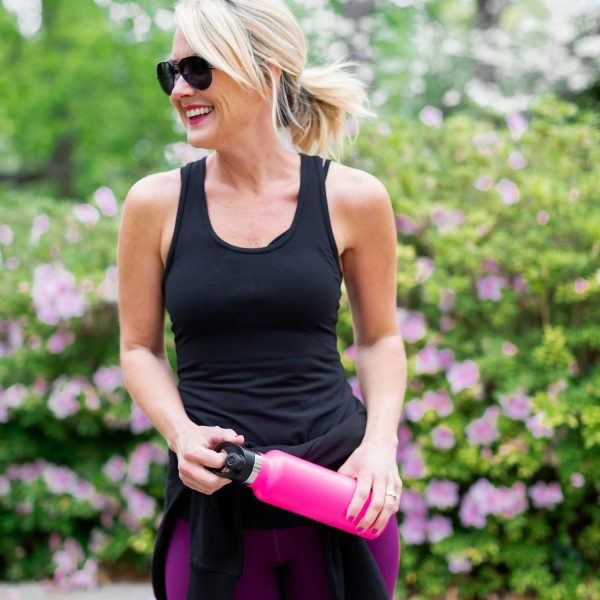 Your backyard looks FAB! So lucky you can already start decorating back there…we're still waiting for the snow to melt! 🙁 And the baby bunnies are SO cute! Me wants one! Looks beautiful, the pool and fence look great. I could definitely take a nice dip in that pool. I am ready for spring. the bunnies are sweet. where's the mama rabbit? how does she get to them in your flower pot? your pool area looks great! That pool looks so refreshing! I'm ready to dive in! 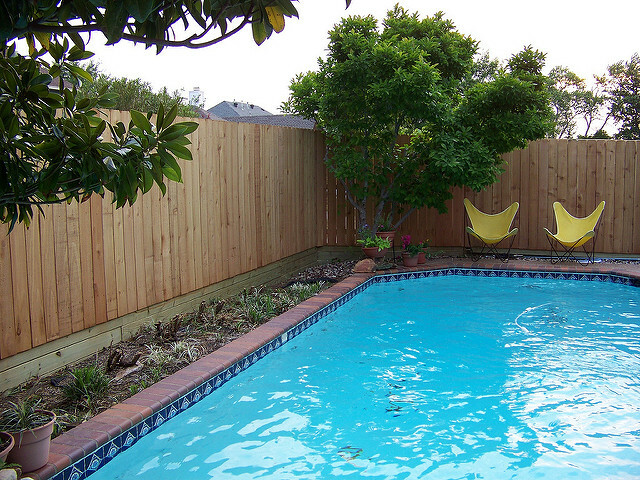 The fence (and everything back there) look so great and like you're ready to host a pool party! omg. I'm so obsessed with the bunnies! You backyard looks incredibly fantastic! What a wonferdul and fun space! You have it all, sun, pool, dining, how nice. Just one question. 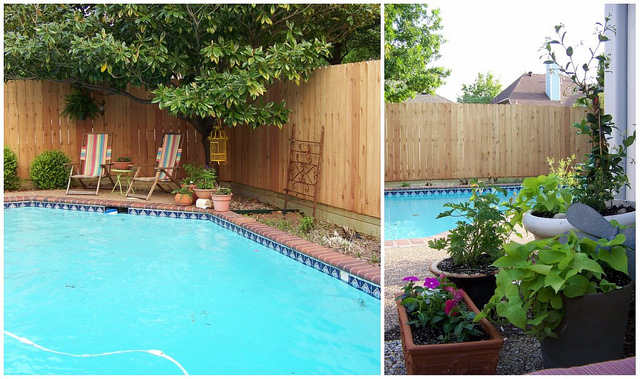 How ever do you garden in that little stip between the pool and the fence? Do you get in the pool and do it? Carefully balance on the edge? Must be fun! 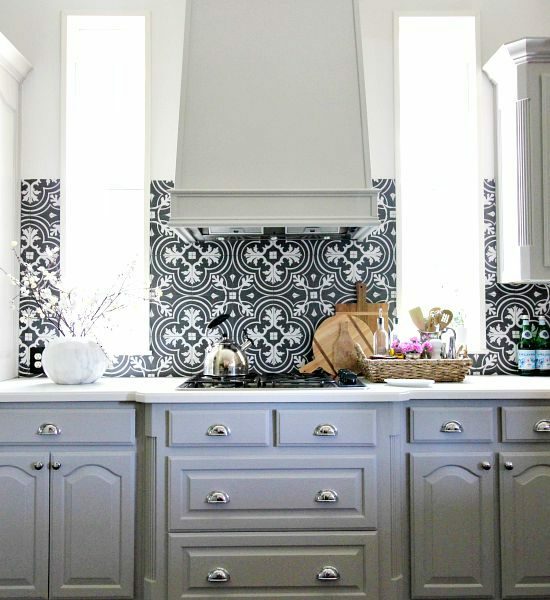 I have light fixtures just like your yellow bird cage hanging over my kitchen island. I can't even believe that there is another one just like mine! Yay! That looks so good! !